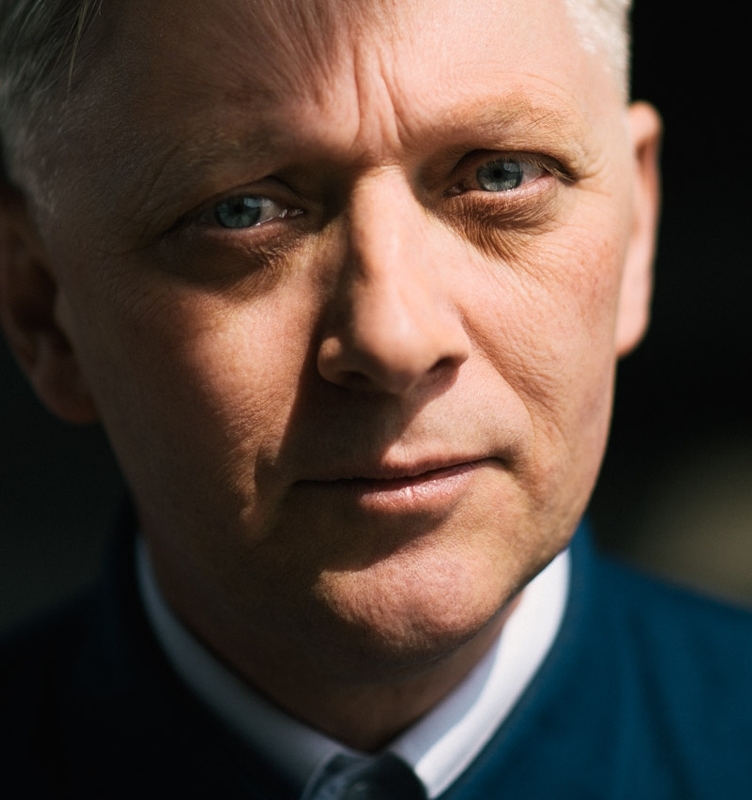 Having remixed NEW ORDER, DEPECHE MODE, PET SHOP BOYS and BLANK & JONES, Berlin-based Mancunian MARK REEDER possesses a notable portfolio of work. The one–time Factory Records representative for Germany and respected techno trailblazer has been credited with introducing electronic dance music to NEW ORDER. 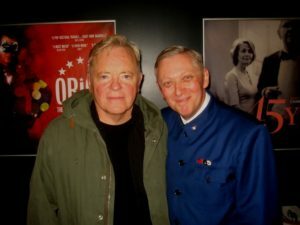 Meanwhile, his acclaimed documentary film ‘B-Movie (Lust & Sound in West-Berlin)’ captured the legendary subkultur of the divided city from the post-punk era to The Iron Curtain fall at the end of 1989; playing in cinemas all around the world, a number of showings were accompanied by Q&As with Reeder himself afterwards. 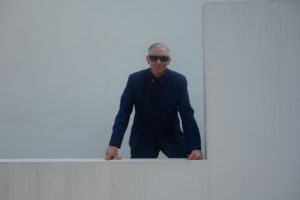 The symbolism of The Berlin Wall and its relevance to the current worldwide political climate inspired his album ‘Mauerstadt’ which was released in Summer 2017, featuring remixes of NEW ORDER and INSPIRAL CARPETS, plus collaborations with THE KVB, EKKOES, MFU and QUEEN OF HEARTS amongst others. Taking time out from his busy schedule, MARK REEDER chatted to The Electricity Club about a number of his recent music projects, including an exciting new Chinese band called STOLEN he has produced and whose debut album ‘Fragment’ will be released on his iconic record label MFS, which has been resurrected for the occasion. A year on, how do you think ‘Mauerstadt’ has been received and are you generally still happy with it? Well Chi, to be honest, I’m never ever one hundred percent satisfied. I always feel that I could have done better, that’s just me. I am very strict on myself. Luckily, I know when to stop and always hope that I can improve with the next release. The ‘Mauerstadt’ limited CD was released in Autumn 2017 and the limited double vinyl finally at the end of December, just in time for Christmas. Naturally, it would have been really nice if we had been able to release them simultaneously and sell thousands, but in today’s physical record market, that’s sadly no longer the case. That said, it’s done really well and I’m quite pleased at the reactions. I think it’s an album you can listen to today or in ten years time. We still have a couple of CDs and a handful of white limited vinyls left on the mauerstadt.com website available, because we put a few aside for latecomers, but once they are gone, people will start selling them on eBay for ridiculous prices, like some of my previous releases. The main attention drawn towards ‘Mauerstadt’ was with your two remixes for NEW ORDER of ‘Academic’ and ‘The Game’? Of course, yes the main attraction of ‘Mauerstadt’ were my two versions of ‘Academic’ and ‘The Game’ that I had made for NEW ORDER. 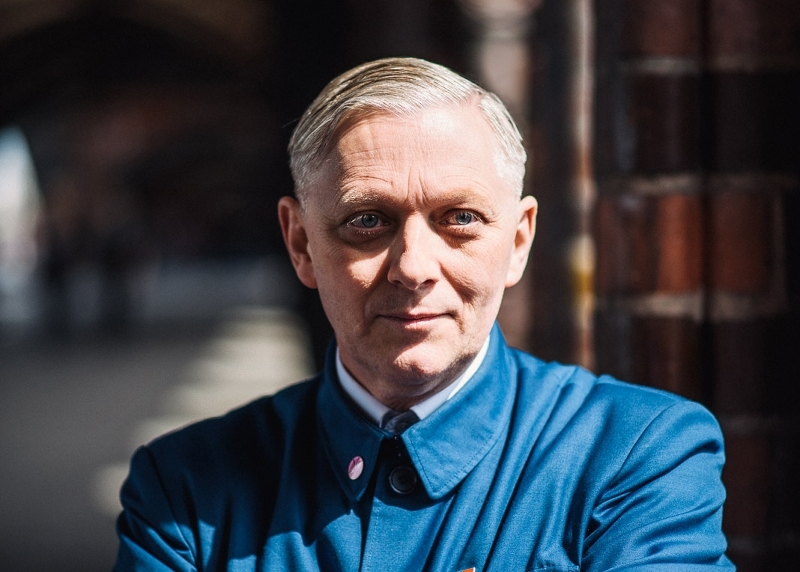 These were released a few weeks before my album by Mute as a digital download package only, so all those NEW ORDER music completists that want to have a physical version are practically compelled to buy my album, which I hope doesn’t disappoint them too much. Initially, I was asked to remix ‘Academic’, but then I ended up remixing ‘Singularity’ instead and so ‘Academic’ found its way on to my album, along with ‘The Game’ that I had reworked especially for ‘Mauerstadt’. One of the most interesting collaborations was with THE KVB, what attracted you to their brooding percussive sound? 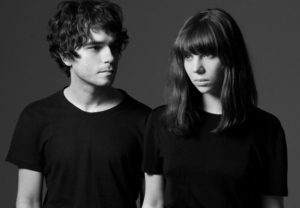 I had been following THE KVB for quite a while and I really loved their ‘Of Desire’ album. Then I discovered they were living in Berlin, so we met up for a coffee and one thing led to another. I ended up remixing one of my favourite tracks off their album, ‘White Walls’, which they released on a limited edition 12” vinyl. As I was in the process of putting together ‘Mauerstadt’, I asked them if they would be interested in collaborating on a track. 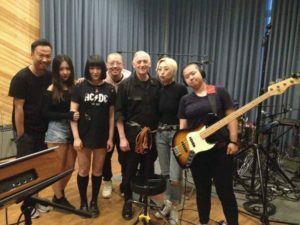 They told me they had started on a piece, but it was basically a skeleton, in fact, just a simple guitar sequence, so I added some twangy rhythm, a bass guitar and a synth melody and Kat fleshed it out by adding vocals, more keyboards and her riff; Nic added more guitars and vocals and then it started to come together. I wanted to make it sound foreboding and tense, and present a dark insight to what our future could be if we don’t get our act together, by giving it a bit of a dystopian feel with the threat of imminent nuclear attack. On the other side of the spectrum, you did two songs with synthpoppers EKKOES who appear to have a much tougher sound when you’re at the helm? I like them. I worked with them on one of their first tracks and debuted it and the band on my ‘Five-Point-One’ surround sound album. They made a very surreal and dreamy video for it. I think John has got a very distinctive voice, which is complemented by Rose and Dave is a man of many talents. I wanted these two songs to have a more poppy-dance feel to them. Of course, their versions of these songs will eventually be featured on their own album. You recently remixed Mute signings LIARS’ ‘Staring At Zero’, what was your approach to that? I think LIARS are fantastic. One of the best live bands I’ve seen. So entertaining. I met Angus in Berlin and a while later I was asked to remix ‘Staring at Zero’, a track off their ‘TFCF’ album. Their original version is quite disjointed and I wanted to make a version that I could play in my DJ sets. So I listened intensely to the track and discovered all the little bits that I could use. I took a short part, looped it and added a heavy duty beat, with a sub bass, which I then made into the main groove and then I added a crunchy bass guitar riff and more synths. As always, I used as many of the original parts as I could so that I could retain the feeling and sound of their version. Angus was really pleased and thanked me by saying it was the best LIARS remix he’d ever heard, which was a huge compliment, especially coming from him. 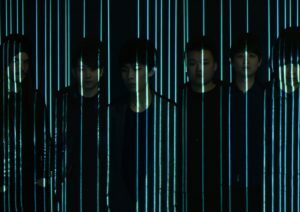 You’ve been to China and worked with an electronic band called STOLEN, how did you discover them and how do you assess their potential? I was introduced to STOLEN by an old DJ friend of mine, radio show host, NiBing of Drum Rider Records. I have worked with NiBing since the end of the 90s and he brought me over to China many times. 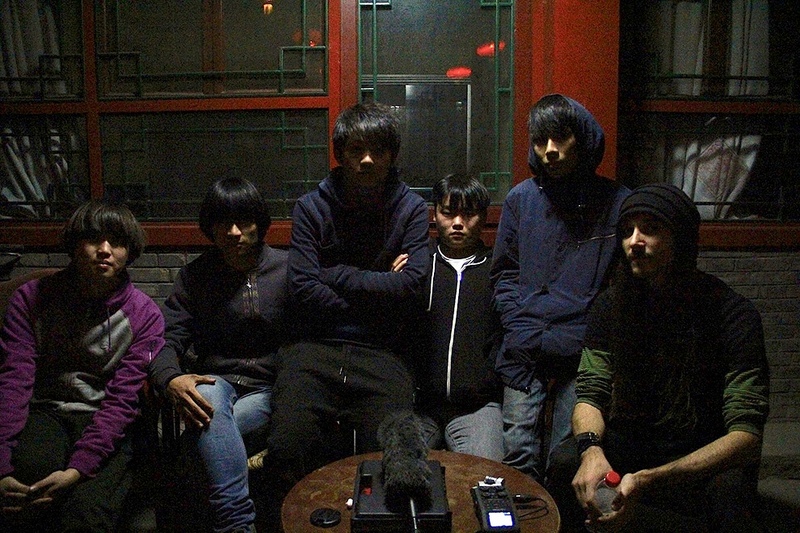 He had arranged for me to perform at a great little festival on the edge of a forest outside of Chengdu and STOLEN were headlining one of the nights. Just before I arrived, they sent me a few demos and I could already hear their potential. They just didn’t know how to get there… yet. Before the gig, I sat in at one of their practice sessions and I was really impressed. Their demos didn’t do them justice at all. 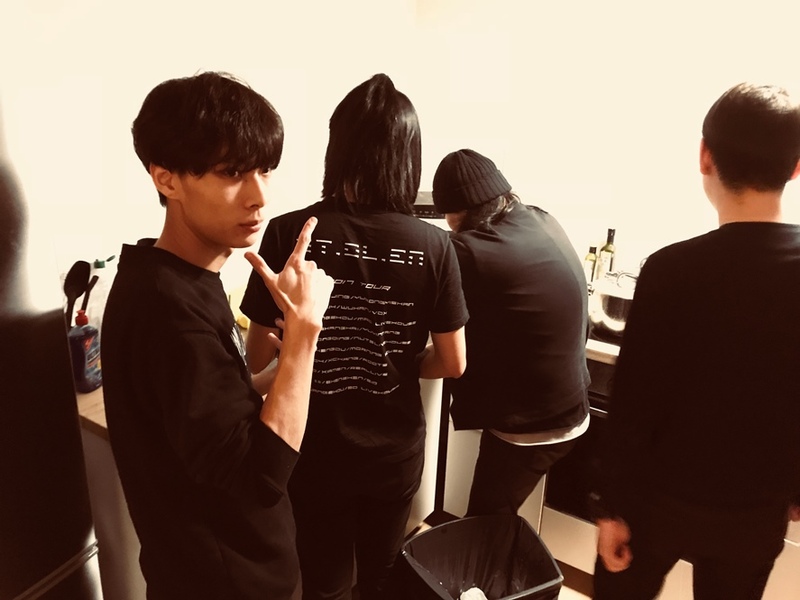 So, we went into the studio in Chengdu after the festival and we recorded three new demo songs, more to see what would happen than anything else. They posted them up in China, and the response was very positive and so the band decided to release them in China as an EP. It was quite successful for them. In China they don’t have a chart, they have a ratings system, whereby a song, album or film is rated by how many likes it receives. Their EP got a very high rating, which brought the band to ask me to produce their new album, but as these three songs were already on the EP, I decided to remix them for the album, so that they are different to the EP versions. I really like STOLEN as people, they are a dedicated and ambitious bunch of working class lads, who are very passionate about their music. They work, practice, write and tour. They obviously live and breathe it every day and I like to see that ambitious fever. China is a huge country, so have different music genres grown and mutated in particular regions? Yes it is, and unfortunately I haven’t seen all of it yet, but I hope to one day. From what I have seen though, there is a desire to achieve acceptance, especially from the West. Most Chinese bands feel they are not worthy or competent enough to compete with their image of well-promoted Western bands, but I think this is an illusion and quite the wrong attitude. They should be proud, as they have some super talented and creative musicians in China, all waiting for that one lucky break, and it’s really only a matter of time before they get recognised by the West and are able to perform on an equal platform. 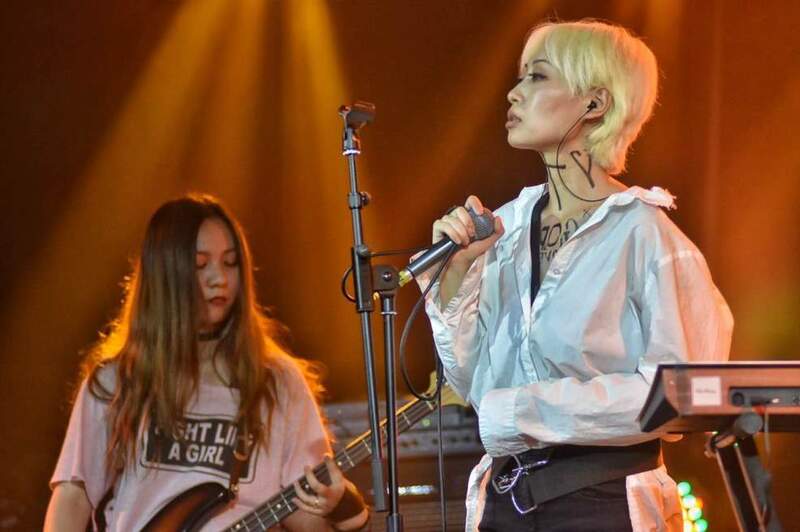 Like I previously mentioned, there is a budding new music scene in Chengdu, and I saw some great bands there like the all-girl group HORMONES. I noticed there are a lot of girls making music and DJing in China. Which was very refreshing. At most of the talks I gave, the girls were always in the majority. While I was in China, I also produced an album for an all-girl band from Beijing called HANG ON THE BOX, who told me they had initially been inspired by MALARIA! In a weird way, the rapid rise of K-Pop in the West is starting to open doors and change perceptions towards all kinds of East Asian artists. 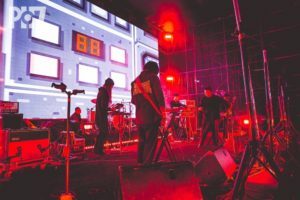 Westerners are discovering new things from Asia all the time, thanks to connected links and tags on platforms like YouTube or Vimeo and this is broadening people’s musical horizons. Of course, there are a lot of imitators out there too, especially when it comes to musical styles, such as EDM, hip hop and rap or even traditional techno. It’s easy to jump on an already successful bandwagon. It’s normal, once something becomes popular everyone wants a piece of the action. We also have to understand, the young Chinese don’t have a long, evolving pop or rock music history, like we do in the West, as theirs is only happening now. We all know that copying is all part of learning, but eventually, you decide to go it alone. You want to establish yourself, and this is where China finds itself now. The über-commercial pop music styles, which the West has successfully sold to the Chinese since the start of the millennium, have over-saturated themselves and are becoming a bit stale. After talking to many young students for example, I could feel their frustration and I felt that Chinese kids shouldn’t really be imitating America anymore, because that’s a one-way street. They should now be thinking about creating their own playworld. I guess they just had never thought about that before, because it just wasn’t possible before. The new generation of fashionable twenty-odd year olds that I met, are simply thirsty for culture, but who up until now, they didn’t have much in the way of an alternative to adhere to and certainly not a home-grown one whereby people could really identify or be proud of. Now the tables are slowly turning. 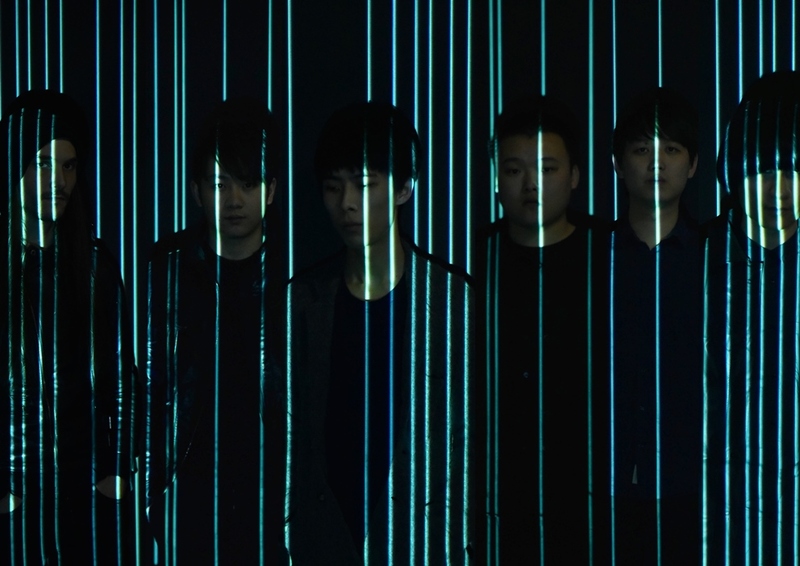 I believe if one Chinese band manages to achieve recognition and real success in the West, this will open up a whole new playing ground for both sides. A prospect which I find really exciting. If the USA carries on shutting the doors on foreign artists, they will eventually stop being influential. We need to look towards the East and embrace these young, fresh and eager artists and see how we can come together and be creative. That is exciting! The Chinese are on the brink of creating their own brand of progressive underground music and the scene to go along with it. I found there is a very strong desire to create something new, the bands are experimenting by mixing genres and styles and adding a touch of their own, they just haven’t found the right formula to get there yet. Eventually they will. Being a musician in China still isn’t easy however. They still have strict rules and regulations, especially when it comes to lyrics, but these are just obstacles an artist has to work around, to find a compromise which will make both sides happy. It is not rebellion, that is all part of being creative. It’s great that they’re almost reinventing themselves. I discovered that STOLEN are an exceptional band, they are all very good musicians and each can equally play drums, guitars, bass or keyboards. They have been together since their early teenage years. 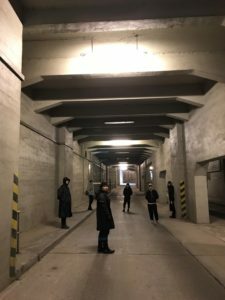 I discovered some very talented people on my tour too, many who are floundering in their huge mega cities and not knowing there are others out there with a similar desire and no idea where to turn. This maybe has something to do with the lack of focal points, like the availability of music periodicals or platforms which focus on a particular music and fashion genre. That is unfortunately, the modern world. China is so immense and there is not a single platform anymore. I hope that with their achievements, STOLEN can help to change that. You brought STOLEN over to Berlin to record their album ‘Fragment’. What changes did you see in them as they absorbed the local atmosphere? Actually, almost none, as there just wasn’t enough time. We had such a tight schedule, that we decided to take advantage of their jet-lag and so we worked all day in the studio and in the late evenings they just ate, rested watching TV, listened to music and slept. They hardly went out. Besides, Berlin in winter was much too cold for them, coming from the tropical climes of Chengdu. They went to a couple of gigs while they were here, but really not much else. I was very happy with their conscientious approach to work, which was great, as we could always start really early. Thankfully, they had been to Berlin before on a holiday trip, so they had already experienced the music scene here and had visited clubs like Tresor, Berghain, Griessmuhle and such places. I think this time, they probably spent more time in music instrument shops, supermarkets and cooking than clubbing – By the way, they are all great cooks too – Szechuan style! As a six-piece band, how did you capture STOLEN’s obvious spiky energy while ensuring that there was a reasonably polished product that at the end of the day could sell their sound? We had quite a few long talks even before they came out to Berlin. I wanted to see where they wanted to go, what is their aim. They had played me a few demo ideas and expressed their desires. Atmosphere was very important to them. We wanted the album to invoke a particular feeling. One thing they were initially worried about was performing the songs live. Their first idea was to just record the songs and then mix them so they had more of a live feeling, but I thought it would be a wasted opportunity. I wanted to make them an album that would help to elevate the band to another level. I started out with their live idea and just worked on fine tuning the rest, that way I was able to capture the energy of the live element without it sounding like a live recording. I convinced the band that they had to separate live from studio, after all, the album is the thing that will last, whereby a live gig is a thing of that moment. I also thought, it would be good for them to have a challenge afterwards, to bring their album to the live stage, as that would help them to solve problems and evolve. They asked me to choose the running order of the album and so I decided it should unfold a bit like a story, similar in the way they write their songs. I am very pleased with the end result, as it has turned out to be something to listen to as well as dance to. 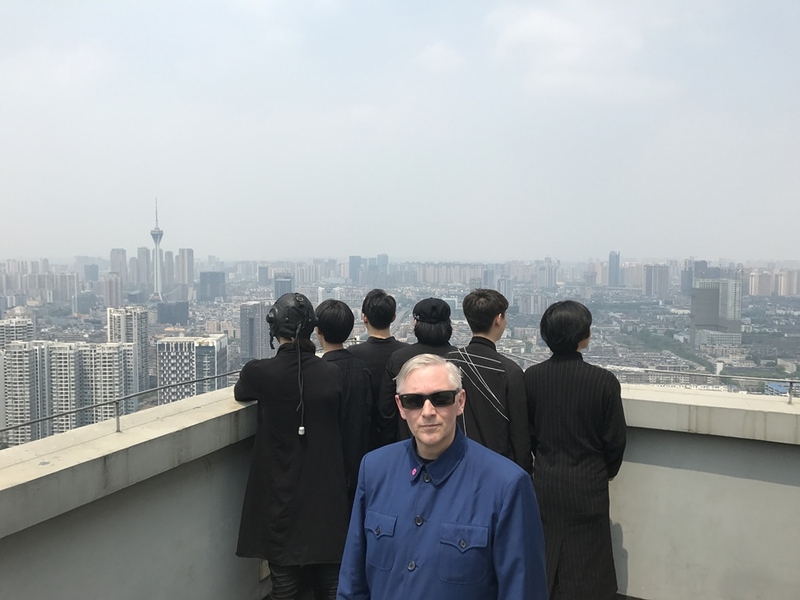 Personally, I wanted their album to sound like nothing that had come out of China before, as their music is not stuck in one particular style, but is a nice mixture of darkwave rock, techno and a billion other influences, even krautrock. They are such talented and open-minded musicians that it was very easy to suggest something and try it out, and when it worked, then we would just go with the flow. They were also always very excited when I played something on a track too, and as soon as I would go to the keyboard or guitar, all their phones would immediately come out. I think ‘Fragment’ is a very listenable album. 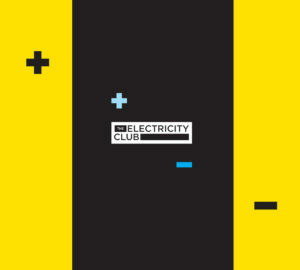 The club tracks work in a club environment, I know that because I have tried them out in my DJ sets, and the quieter tracks are to sit back and relax to. So you’ve revived your label MFS to release ‘Fragment’? Yes, I have decided to defrost MFS and bring it out of retirement, as I wanted the album to go to a good home and I wanted to be able to manage, to a degree, what happened to it, as the album has a lot of me in there too. So what better place than to release it on my own label? Although I am not managing the band, I feel a necessity to guide and help them understand the mechanisms of the Western music industry. I wanted to give their music the best possible platform and by re-igniting MFS, I thought that in itself would be an interesting attraction too. I think this band deserve to be heard and seen. This is only the start. You’ve been doing a few DJ sets at selected events, how are you finding this or do you prefer the live Q&As that you’ve done for ‘B-Movie (Lust & Sound in West-Berlin)’? It’s all part of the job really, the Q&As are usually fun and hopefully informative, the DJing has just evolved out of that. As ‘B-Movie’ has now been accepted by the educational system and become part of the German school curriculum, I do quite a few Q&As over the year. I used to get asked to show the film and then DJ at an 80s style after-party event, then it just became playing a DJ set, but I’m not your traditional techno DJ and I don’t play generic techno, or a load of lacklustre oldies. I only play the tracks and remixes that I have made or produced myself. That way I can usually test new stuff too and see what works and what doesn’t. I never had the ambition to be a DJ, if I had I would have started decades ago, I simply see DJing as part of the event and it is actually quite fun too. Events are all different and as it’s usually never a straight techno event, I can just play whatever I want. I always try and take the crowd on a little journey though, and they get to hear tracks they might even know in their original form, but when I play, they are all remixed by me. I have quite a few projects on the go at the moment, but I really don’t like to talk about things that are not finished. One thing is for certain, I won’t be making ‘E Movie’. My main focus right now, is getting the STOLEN album out at the end of September and working on the promotion and remixes. Everything else is top secret.